I’m pleased and delighted to have been contacted once more by top local photographer and friend of the blog Peter Booth, who this time has sent me some images of Brownhills Carnival in 1972, kindly donated to him by Steve Craddock, taken by his father, Roy Craddock. These are remarkably good photos, beautifully scanned and restored by Peter. They are fantastically clear and there is some absolutely stunning detail which I’ll leave readers to find and debate – but people in these pictures must be recognisable now. Particularly interested in the cheeky wee lad peering into the camera on the marching band image, the people on the coal lorry float in front of the Station Hotel (especially the bearded lad, sure I recognise him), and of course, the carnival queen! Had these photos donated to me a couple of weeks ago of Brownhills Carnival procession in 1972 I think, that’s the date on the slide anyway. These were donated to me by Steve Craddock taken by his Dad, Roy. He found them while sorting through his Dads old slides and thought they might be of interest to me. These so far have cleaned up well showing a lot of detail of the high street at the time. Again, my thanks and gratitude to Peter, it’s a pleasure and an honour to feature material of this quality here – and a special thank you to the Craddock family for sharing some photos from a time I thought we’d never see. Wonderful stuff. Thank you. Fancy a bit of local eEaster fun? This could be just the thing…. For a bit of Easter fun on a beautiful weekend, I notice Oak Tree Farm down in Stonnall have an Easter egg hunt this Easter Sunday afternoon 21st April 2019 from 2pm to 4pm. It’s £5 per child – no need to book, just turn up! WS9 9LB (That’s just down the Chester Road, left after the turning for Stonnall Village). Love the clock tower – what a fine venue! Image from Ilkeston Town FC’s website. A top of the table clash that’s been hotly anticipated – a win here for either side will be hard fought and make all the difference! There’s also a bunch of great stuff going on this weekend at the revitalised Horse and Jockey pub in Walsall Wood (just opposite Barons Court Hotel) which has recently come under new management and is developing a great reputation for good food and entertainment. Tonight (Friday April 19th 2019) they have a fun fancy dress Easter Break School Disco from 8pm until late which will have lots of 80s music and free entry – so what’s not to love there?. Tomorrow (Saturday 20th April 2019) there’s a great charity Easter event – a kid’s Easter egg Hunt, Carboot Sale, Disco Dome, barbecue, Fire Service display and loads more for the whole family – all the brainchild of Alisha, 8 who wanted to raise money for WPH – supporting children’s mental health in the community, which is a fine cause. The fun day kicks off at 1pm. Why not get down there? Alisha is a 8 year old girl that has organised this event with the help from the horse and jockey and ourselves at Firefly. St Georges Day this year collides with Easter so not many St. George events about – but there is an excellent St. George Charity Gig and party in store at The Memo, Lichfield Road, Brownhills this Sunday 21st April 2019. The party fun runs from 2pm until 10pm with lots of great bands, food and fun – and it’s just a tenner a ticket! Live bands include the wonderful Two Ukes, From the Archives, Not Quite Dead Yet, Bad Things and Ska Face. The Memo is unlicensed so you’ll need to bring your own beer – which is a bonus as it should make it a cheaper day out! Tickets are available in advance – you can contact Ian Neville, the organiser via the his Facebook page here, to sort it out before you attend. My best wishes to Ian and all involved – have a great party! Right, since it’s the first springtime bank holiday of 2019 on Monday, that means there will be one of the occasional openings of something remarkable I visited way a couple of years ago, and it’s well worth a visit. Balleny Green is a narrow gauge, passenger-carrying miniature model railway located at Little Hay, east of Shenstone and north of Sutton Coldfield, just down the lane from the Holly Bush pub. Image from Sutton Coldfield Model Engineering Society. Balleny Green’s address is: SCMES Site, Little Hay, Lichfield, Staffordshire, WS14 0QA – see the map above. Balleny Green is something I heartily recommend – it won’t take all day, but it’ll easily burn a couple of hours and leave you feeling thoroughly charmed. It’s open from 11am until around 4pm. You can find out more at the Sutton Coldfield Model Engineering Society’s site here. I posted the following on my 365daysofbiking journal after my visit. It’s a terrific thing. 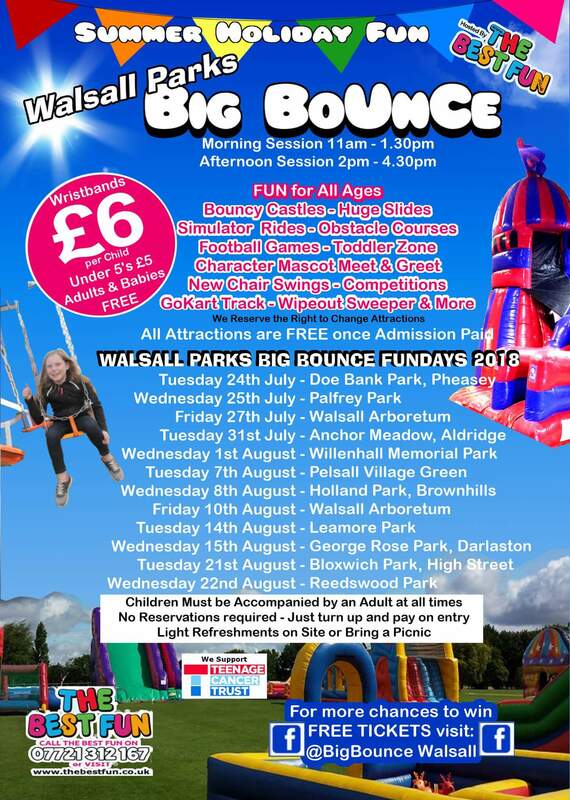 Just a headsup to point out there’s a Big Bounce family fun day taking place at Oak Park Active Living Centre, Walsall Wood this Thursday, 18th April 2019. It’s £7 per child and there are three sessions, 10:30-12pm, 12:15-1:45pm and 2-3:30pm. An Arena filled with Inflatable wipeout games, Huge Slides, NEW Assault courses and more to Play, Bounce, Slide, Race & have loads of fun & our Easter Egg Hunt! We strongly advise pre-booking www.ticketsource.co.uk/BigBounce as once all tickets are sold we are limited to how many cash payers we can allow in on the door. Tickets online from £6 for children, £1 adults. + family tickets £18 for 3 kids & 2 adults. On the door tickets £7 kids £1 Adults. All attractions are FREE once admission paid. We have 3 sessions to enable more youngsters to enjoy the fun! Children Must be accompanied by a supervising adult, Adults may be responsible for up to 5 children. If you’ve a child or children under 4 years of age, there is a great Stay and Play session running at Brownhills Community Centre in the heart of Brownhills this Saturday morning 13th April 2019 from 10-11:30am. I note that top local performers Brownhills Musical Theatre Company have their next show The Sound of Music coming up at Lichfield’s Garrick Theatre next month, and I’m getting an advert in early as it’s sure to be a sellout. The show is running from this Tuesday 7th May until until Saturday 11th May 2019 at the Garrick Theatre right in the heart of Lichfield. There are still performances you can catch but you need to be quick with getting your tickets – they’re selling fast! This will be yet another great production from a very competent, talented and professional cast of local folk. Brownhills Musical Theatre Company have a great pedigree and a wonderful track record for fun, endearing, entertaining and very professional shows. They really are a hidden gem and well worth catching. These Midlands hills are alive with a dynamic new production of The Sound of Music, presented by Brownhills Musical Theatre Company. This is an ‘all time classic’ guaranteed to touch everyone’s heart, featuring Climb Ev’ry Mountain, Edelweiss and So Long, Farewell – This Oscar winning musical will be one of your ‘favourite things’ to see with all the family. The children of Captain von Trapp fill their days playing funny tricks on everyone all around them but secretly want a mother to love them…only one person fits the bill, Maria! So, starts the adventure of a lifetime, and one that will change their lives forever. Fresh from their critically acclaimed major production of Bad Girls and Half a Sixpence, early booking is strongly advised for BMTC’s next knock out performance. DO – RE – MI … Get me a Ticket! We’re approaching a sell out now so why not make sure you book your tickets today! Brownhills Musical Theatre Company rehearsing in Brownhills. Image from their Facebook page. Why not check out Brownhills Musical Theatre Company’s Facebook page? I thought I’d continue sharing the hugely popular 80s archive images today and the real treat from the immense Gerald Reece collection this weekend consists of the two related sets below. Here we have two sides of Chasewater in the late 80s: The faded, down at heel amusement park era and the derelict, decaying trotting track, also covered very evocatively by Mike Leonard and the wonderful Peter Booth. The Chasewater set below features the lake in spate and overflowing via the old spillway and weir system, just after the installation of the new under canal drain. 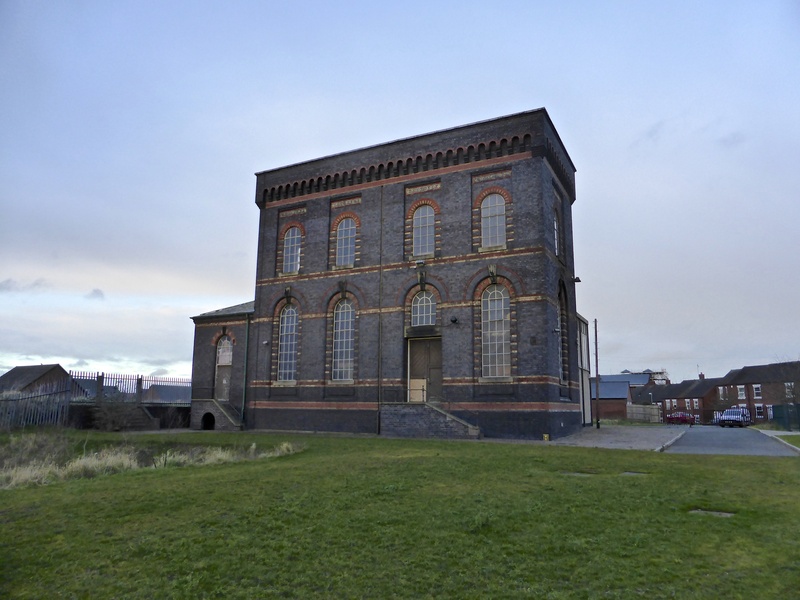 We also see the end times of the Lighthouse (really a race observation tower) plus Anglesey Wharf before the motorway and also the mysterious valve house. The second set is the derelict, abandoned trotting track stadium. Apparently purchased secondhand from a town in Wales, it was opened in 1971 to much applause but never really took off, and after several experiments with speedway and motorbike racing, it lay decaying until the M6 Toll came through at the turn of the millennium. For all the opposition to the motorway (and lord knows, I opposed it) some places did benefit from it’s construction, and Chasewater was one of those places. Whilst it tragically lost the Go-Kart track, it gained a much better base for the railway, the clearance of the stadium and the regeneration of the south shore into something more appropriate for the age. The first half gets under way as spectators look around wondering..well, wondering.. The contest was to be characterised by the patently different style of soccer that is required of all players, on synthetic grass. Early first half action as Romulus, in red, attack the Wood’s goal. Second half, a different camera and a different position to take photos, the breeze and something else having chilled my soul in the stand. Second half and a markedly more confident Romulus bring the Wood to their toes, reversing the first half dominance by the Wood abruptly to an end. Super to spectate and appreciate. The Wood in action as only they know, and challenge Romulus defence at one of the numerous goalmouths. A sense of imminent “goal” is felt by spectators as they chump and blow to try to bring warmth to their bodies. Hot stuff on the pitch, though! Second half, much later. Then suddenly it come comes right for the Wood and the ball slams in to the back of the net. Over an hour and a half needed for one of the sides to break through, and today it’s the Wood. Celebration time for the Wood after scoring their well-deserved and hard- fought first goal. It was to be the only goal of the match. Wood supporters leap for joy, as best as they can, that is. Final moments of an excellent hard, entertaining game, played like a breath of fresh air, on a plastic pitch near the motorway and the settlement ponds. A chilly afternoon downwind of the rather aromatic Minworth Sewage Works at Romulus FCs Castle Vale ground rewarded the Wood faithful today (Saturday 6th April 2019) with a win in a hard fought but enjoyable encounter. First up David Evans was there, and sent the above images and the following report – and following at the foot of the post, an additional report and footage from recent matches. The football ground was probably the easiest one for me to find, situated in Castle Vale, just off the Spitifre Island. Impressive stand and complex, beautiful green grass. But not real grass. However the unusual – ripe – aroma that pervaded the ground from the nearby ‘water treatment facility’ had nothing synthetic about it. No matter. A goodly choir of Wood away supporters of various ages, diameters and heights managed to squeeze through the eye-wateringly narrow turnstile [Lay off the half time doughnuts David! – Bob], regain composure and then, having made the necessary personal realignments, made their way to the welcome indoor bar before resolving to take their seats or positions around the perimeter wire fencing out in the open air. Such was the unpredictability and force of the breeze that occasionally a wayward kick directed the football toward the more vocal of the spectators sat sitting in the stand. The said supporters retained their vocality, however. The contest proved to be captivating and thrilling throughout the entire game today. Played at a fast pace and on the hard unyielding surface, we witnessed a level of accuracy of passing and determination of leaping that we see on a real pitch. Players of both sides demonstrated a fine ability to adapt the style of football to the demands of the day. Full credit. It was the Wood who were first to show their composure and dominance, with swift moves, possession and control; yet Romulus , too demonstrated that they were playing on a surface they were well accustomed to. There seemed to be a fine balance of steady moves and deceptive counter moves… By both teams. The half time whistle brought the players a necessary break with the usual cucumber sandwiches and cup of hot tea, served by their doting managers. Meanwhile, supporters, who by now were gasping for something liquid, to rinse their vocal chords, and something solid, to subdue the complaining rumbles from their half-frozen empty bellies, made their way to the welcoming bar, warmth, and then, slightly unsteadily, perhaps to snack bar. The second half began as supporters resigned themselves to brave both the cold and neighbouring earthy aromas. Romulus were visibly re-energised and seemed to have the upper hand at times, launching attacks and dashes in to the Woods half. The Wood, for their part, were resilient in defence as always and employed different tactics, which, after what seemed an eternity, brought a beautifully crafted and executed goal for the visitors. The visiting supporters, who outnumbered the home supporters, erupted in shouts of delight, cheers, and other well-known ways. It was near the final ten minutes of the match and now Romulus threw everything, overcoming understandable frustration, attempting to gain a goal. But, today, mercifully, the day was the Wood’s. Final score: Romulus nil, Walsall Wood FC one goal. Now, who do the Wood play next? Oh yes, that town near Heanor. 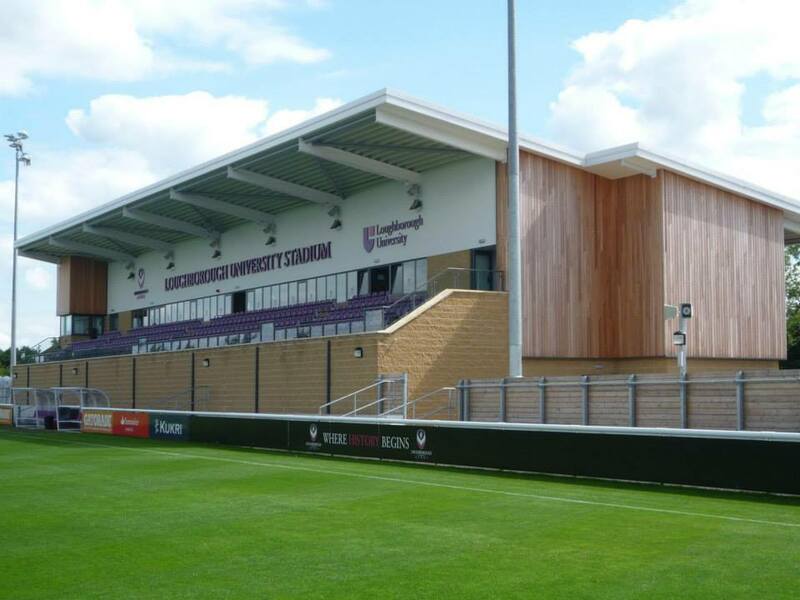 Should turn out to be an interesting match, that one, my ducks..
Additionally I have this report in from Simon Evans who attended the Loughborough away match last Saturday, another hard-fought Wood win. Wood started the brightly, Paul Sullivan with an effort that the defender blocked, Loughborough countered and forced a corner, which was cleared. On 15 minutes, Paul Sullivan’s effort was straight at the keeper. Wood soon got the first goal, Mitch Tolley’s effort finding the back of the net. Loughborough then had a brief spell of pressure, a freekick going just wide. Just before half time, Javia Roberts lobbed the oncoming Loughborough keeper from distance, but the ball bounced just wide. Loughborough countered and won a corner. The corner was swung in and found the corner of the net. The ref then blew for half time. Wood started the second half brightly, Javia Roberts effort was deflected onto the Loughborough crossbar by Matt Dodds. From a corner, Kyle Rowley headed just wide, Matt Dodds then went on a 40 yard run, beating defenders, but the keeper was equal to the effort. Javia Roberts effort was well saved by the Loughborough keeper. It was all Wood at this point. Wood sub Joey Butlin’s header from close range went agonisingly just over the bar. The last few minutes from a Loughborough attack, they won a freekick, which LLoyd Ransome in the Wood goal gathered. Then an effort from Loughborough went wide. On 86 minutes a Joey Butlin freekick saw the Loughborough keeper make a fine save for a corner, the resulting corner wasn’t cleared and Kyle Rowley’s header forced the keeper to make another good save. With time almost up, Wood had a freekick, the ball was met by Kyle Rowley who’s header found the back of the net. Within seconds the ref had blown for full time. Thanks to the Evans boys and Russell Smith for their excellent coverage as ever. Many of you who keep an eye on local news and events will have spotted a story that broke late last week when night-time traffic on the Cannock Road was held up between Five Ways at Heath Hayes and Burntwood by some unusual pigs taking a walk, and there has been much speculation about exactly what breed they were, and where they originated. Indeed, they were so hairy and of such unfamiliar nature that I initially mistook them in the footage for Muntjac deer. Most of the speculation settled on them being wild boar. You can also read a BBC News report of the incident here. Well, one of the reasons I’ve not had much time to post on the blog this weekend is because having reflected on the nature of the porcine perambulation, I was troubled by the question of what the animals were exactly, and where they may have come from. My interest was piqued when a local farmer got in touch to tell me he was being engaged in an experiment sponsored by Natural England to re-introduce wild boar in the area. This is obviously a matter of some concern, as the pigs clearly have no road sense, and we already have a high accident toll from traffic collisions with deer, badgers and other other wild animals. Just what good can come of the introduction of pigs? A unique breed of pigs go for a stroll – but what on earth is going on? Image from Andy Marshall. It seems that Natural England have been very concerned about changes in the area brought about by overdevelopment of housing – particularly in the Norton, Burntwood and Lichfield areas, where large new developments are either in the pipeline or well underway. Powerless to intervene in planning matters, specialists from Natural England have been clearly thinking outside the box and have worked with local anti-development protesters to thwart developments by other means. Yesterday, I spoke with representative of the Burntwood Anger Group (BAG) Gloria Frottage about this curious initiative, who told me, ‘We could see that in some areas of the country large developments had been halted or cancelled completely by the discovery of rare, important species on the sites concerned, so we set out with Graham Wigglescope of Chasewater Wildlife Group to find some. He was talking about some toads and newts and other horrid things but he just came up with a blank. We knew then we had to introduce a species that was unique, and preferably jolly cute – not slimy and unpleasant like those toads. What I found out next was quite shocking. On a quiet farm between Heath Hayes and Gentleshaw, a unique breed of pigs has been interbred for release into the area, and has been registered with the National Pig Society as the Burntwood Boar. This short, stout and somewhat aggressive animal has been bred to reflect the characteristics of the local youth, with whom it shares 99% of its DNA. It is a remarkable animal possessing thick fur on its back, a strongly aggressive personality and is given to wandering into roads randomly, often with a long line of its ill-disciplined offspring in it’s wake – as can be seen in the film above. The farmer, who wishes to remain nameless until the insurance position has been clarified, has carefully bred these animals over a three-year period, and late last year trial releases started in Burntwood’s greenbelt and on the few grass verges that remain in Norton Canes. Cuckoo Bank has seen a release, as has land between Wall and Lichfield. It is hoped the presence of this unique species could prevent any development as it would threaten their habitat. The new local gang problem on our streets: Are they worth the hassle? Burntwood Youth are coming to a green space near you. All is not well, however. The Burntwood Boars released so far have caused several traffic incidents, but worse than that, have been exhibiting the rampant behaviour of their forebears: they have been breeding freely, have been eating all before them including crops in fields and gardens, have run amok in villages and towns at night fighting and generally being a source of constant antisocial behaviour. Police Constable Wayne Peeler of Staffordshire Police is very concerned about the situation, ‘Of course the introduction of the pigs was cleared with us first, and to be fair the behaviour they exhibit is far from unusual in Norton, Chase Terrace and Burntwood. Indeed, the pigs seem to feel at home and only last week I had to make several arrests in a turf battle between Chasetown Youth and a herd of pigs. The pigs seemed to be winning, but of course, they had all the brains on their side. Over in Lichfield, the pigs have been more of an issue, with them roving onto leafy estates at night, mating noisily in The Close and bathing in Stowe and Minster Pools with little regard for the City’s history or standards. One resident commented it was like bower day, when all the townies came in from Walsall. Only the pigs were better behaved. And their thick fur has caused several to be mistaken for the local MP, much to his annoyance. To be fair, the pig also seemed pretty annoyed at the comparison with synthetic fur, as anyone would be. The question is, are the Burntwood Boars a good idea if they do prevent further urbanisation? I’d love to hear from you. Comment here, hit me up on social media or mail me: BrownhillsBob at Googlemail dot com. A lovely video here posted on Facebook in the last couple of days by Anna Marie Davies which she recorded of red deer bathing in the canal near Anglesey Wharf, just beyond the M6 Toll Bridge near Wharf Lane, Brownhills. Deer like to bathe all year around, but particularly at the moment as they’re mounting and their shedding winter coats cause irritation, the water helps to remove the old fur and ease the skin. This isn’t the first time local deer have been recorded going for a swim. Peri-urban deer expert Jochen Langbein recorded these animals having high jinx at Chasewater a few years ago. You can see that film in this post here. Thanks to Anna for a lovely film and a reminder that although we think of our town as being quite urban, we have a whole host of fascinating wildlife right here on our doorsteps. Meanwhile, a quick public service announcement: Sorry folks I’ve been very busy the last couple of weeks and this weekend I’ve been absolutely exhausted, so not had much time for the blog. My apologies for this, it’s not permanent I’m just getting older (the blog is ten years old in a few weeks) and I’ve not the energy I used to have. Please bear with me for a while. Here’s a useful one from local lad Andy Sawyer who’s been in touch to let us know that there’s a charity car was in Walsall Wood this Saturday, 30th March 2019 – you can get your motor looking shiny and help a very good cause at the same time. The Horse and Jockey has recently had a change of management and is getting very good reviews – particularly for food. You could pop in for a bite at the same time! Image from Trip Advisor. The event takes place at the Horse and Jockey pub in Lichfield Road, Walsall Wood from 9am until about 5pm, and is in aid of the local ‘Help a Squaddie’ charity. You can get your wheels cleaned by the charity fundraisers and also buy a whole range of Help a Squaddie merchandise while you’re about it. All money raised will go to this fine new military charity based in Rugeley helping all services veterans – you can find out more at their Facebook page here. If you’ve a child or children under 4 years of age, there is a great Stay and Play session running at Brownhills Community Centre in the heart of Brownhills this Saturday morning 23rd March 2019 from 10-11:30am. I see from the events list that Aston Manor Road Transport Museum in Aldridge have a ‘Models at the Museum’ event this Sunday, 24th March 2019 – It runs from 10:00am until 4:00pm and should be just the thing for modellers, transport enthusiasts, petrol heads and big kids of all kinds. There will be loads of modellers stalls and layouts, kids activities, films and all the usual goodies for all the family to enjoy. There’s a free bus service operating all day between Walsall and the museum in Shenstone Drive, and also from Aldridge Community Centre car park with a free connecting bus. There’s more information on the event’s Facebook page here. This is sure to be a great event – please do pop along. The collection needs the support of the public to survive, and it really is a wonderful thing. The 2017 events schedule for the museum is any the foot of this post. It seems there’s no end to the activities of the bogus workmen/gardener scams locally: Yesterday (Monday 18th March 2018) a couple in Castle Close, Brownhills were targeted by a man claiming to have done fencing work at an adjoining property which they were in some way liable for. His story was, of course, an utter falsehood. A bogus caller has been demanding money with menaces in the Chapel Avenue area of Brownhills. Imagery from Apple Maps. At 11:44am today (Monday, 18th March 2019) a bogus caller knocking doors in Chapel Avenue, Brownhills claiming to have done some garden work and asking for money off residents unaware of any work. Thankfully no money handed over and we were called. Described as white male, 6ft, light hair, scruffy beard, wearing dark duffle coat. Be alert & report any issues! I hope you can put this post on, our neighbour had someone at the door saying they had done some work on the fence at the bottom of their garden from the other side due to wind damage and because it’s a shared fence he wanted £85 or would take them to court. Long story short, they went away empty handed and other neighbour had no knowledge, police 111 informed, so if everyone can watch out for a black pickup truck please? Please tell your relatives and neighbours about this scam, and impress upon them how important it is not to be menaced into giving money for services at the door, no matter how plausible the people demanding cash are. Genuine companies will always contact you by other means. Explain that no official body will turn up unannounced demanding money for services like gardening, drain cleaning, fence repairs, tree pruning etc., and that if they are at all unsure of any caller, to close the door and contact the police. Scumbags preying on the elderly and vulnerable are lower than a snake’s knees. Please, if you have any further information relating to this matter, or if you’ve witnessed something suspicious, please contact West Midlands Police by dialling 101 (999 in an emergency, obviously) or Crimestoppers on 0800 555111.